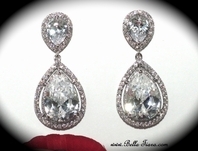 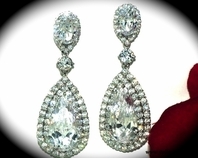 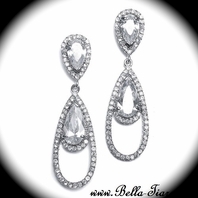 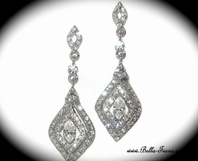 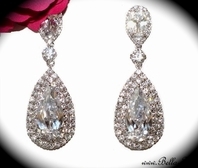 Description: These lovely cubic zirconium earrings are lovely with their sparkling charm. 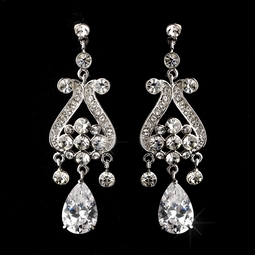 Shiny crystals dangle as these drop earrings feature brilliantly timeless and classic appeal. 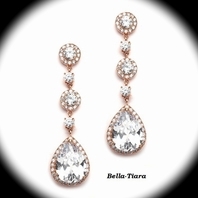 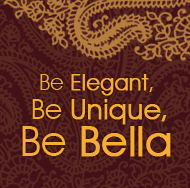 Perfect for brides, bridesmaids and more!